UV Nail Polish Gel Pen Review!! It has been a while since I have posted due to being busy with college, work, and other life events and for that I have to apologize. To read the most up to date reviews and about my life please follow (@hunnelldaisy and @daisys.product.reviews on Instagram). I am so glad that I got to test this product and I will be buying other colors in the future! I typically do product reviews, but today I am switching it up to tell you about this AWESOME hair hack that I tried so that you can be on your way to healthier and happier hair! A little bit of a backstory on why I tried this hack is because I have not liked my hair for the past 3 months (it feels greasy/gross, it is flat with no volume, it is dry/itchy, it has product buildup from use of hair products/styling products, it lost its shine, and honestly my hair just looked dead 😳😳😲😖 So I did some research on the internet and it turns out that people are using vinegar (an already helpful product as you can mop your floors in it, clean the shower, clean the toilet, get rid of odor, clean the carpet, get stains out, etc.) to detox and balance the pH in their hair. I felt hopeless and had tried various other products so I though why not. So I got my stuff together for a hot shower that night (I am anemic and my showers will burn your skin off 😂😂😈) and grabbed the Distilled White Vinegar from the kitchen. I got in the shower, wet my hair thouroughly (which actually takes some effort guys as my hair is about midway down my back and pretty thick), then I poured the vinegar all over my hair starting at the scalp (be careful not to get in eyes), after that was done I grabbed the shampoo and added a little vinegar to it, next I scrubbed my hair with the vinegar + shampoo mix (helps to reduce the smell of vinegar and helps get your hair cleaner), I waited for about 5 minutes and my scalp felt really clean and kind of tingly, and then I rinsed it thoroughly. From this point I finished up my shower routine (wash my body, shave, etc.) and then I stepped out of the shower, dried off, and got dressed in my PJs. The next step was to brush my hair (my hair normally has knots and tangles that are painful and I tend to have a lot of shedding when I brush my hair) and noticed that my hair was soft, manageable, and that I had less shedding + no product buildup (this was the results IMMEDIATLY after guys). The next day I got up that morning, brushed my hair after getting ready, and noticed that yet again I was experiencing cleaner + softer hair, no shedding, no product buildup, shinier/fuller hair, and I could brush my hair without wanting to cry due to all the knots/tangles. Now I want to share with you guys my Instagram pics (@hunnelldaisy if you want to follow me) which documents the night I used the vinegar wash and the next day (AKA day 1 of the experiment). Let me know in the comments if you decide to try this with your hair. Now I will share some pictures and a video that I took of the cards from my personal Instagram page (feel free to follow me @hunnelldaisy) so that you can see the product for yourself. I wish you guys a safe, fun-filled, and happy Christmas!!! With all the reviews that I have to do it can be quite easy to fall behind. 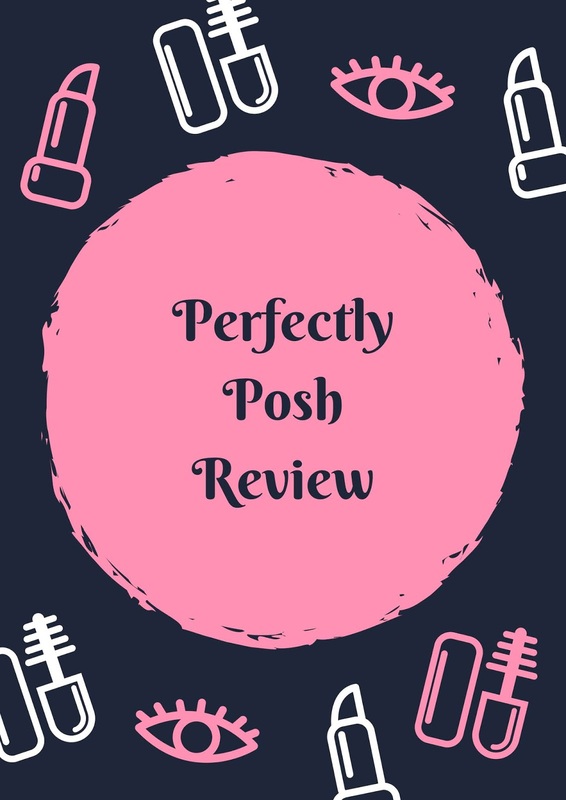 Because of this my review for Perfectly Posh is quite late and I want to apologize for this--- because you guys definitely deserve to know this AWESOME brand. The link above will take you to the page to find a consultant and then type in "Denise Revira" and then hit select consultant. 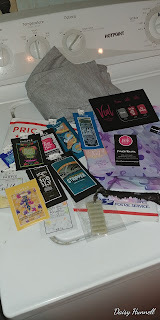 These products are perfect for sensitive skin, they are all-natural, and they smell oh so good! 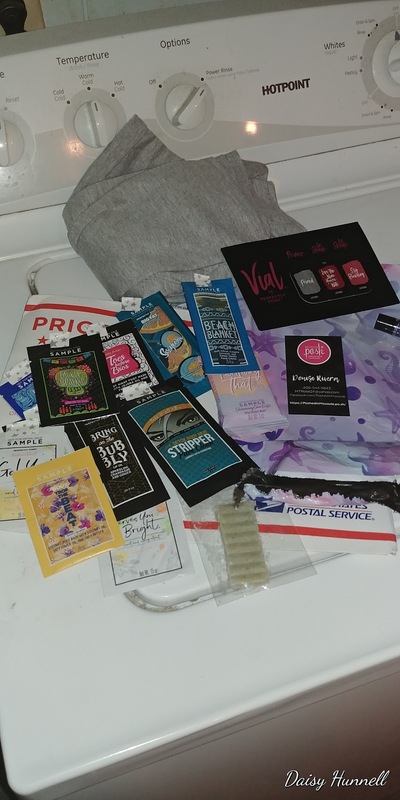 One Bundle that I received to review with tons of products including Vial Liquid Lipstick Sample, Crackle Spackle Face Mask Sample, The Stripper Sample, and more! The package that she sent it in was so cute and it had mermaids on it. You can also see the "You Apricaught Me!" 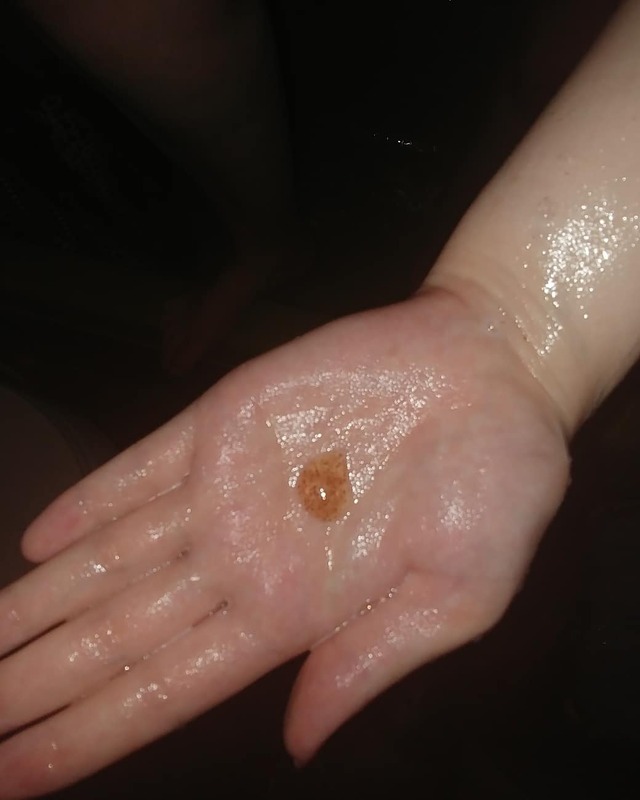 Body Polish (shown in my hand during a shower) and you can read the Body Polish review below. 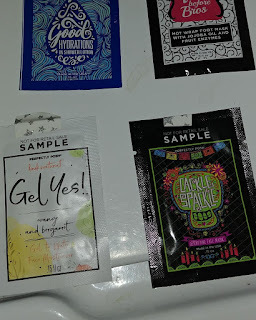 I absolutely love face masks and this is definitely one of my favorite ones that I have tried. It was easy to apply and easy to take off. 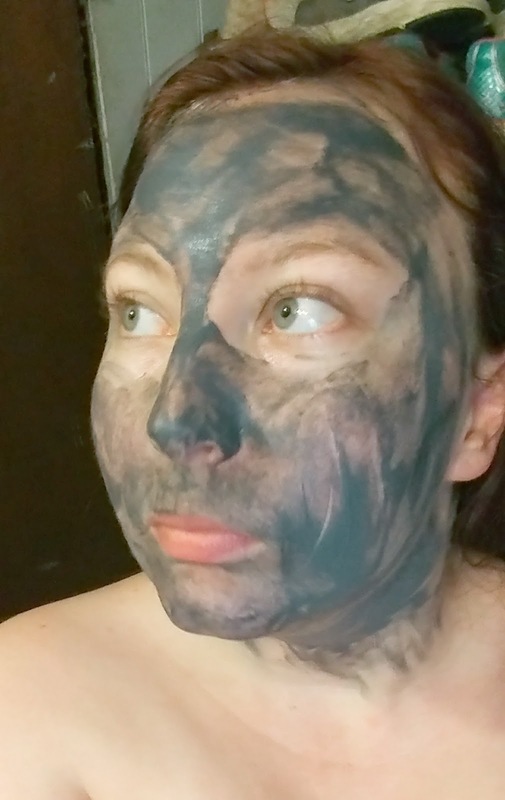 My skin felt so clean and clear of any blemishes after use. 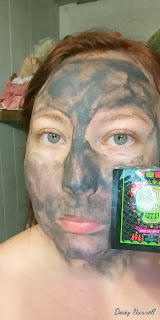 This is a deep cleaning face mask with Charcoal and Kaolin Clay which is designed to absorb pore clogging dirt and oil. I also loved that this make detoxified and that it had a Spearmint scent. It's $20 for a full-sized product which is 2 oz. You can see a photo of the full-size product below and this is actually a screenshot from her site. More of the products that I received as samples. Including Cackle Spackle (review above), Gel Yes Moisturizer (which smells amazing and is very moisturizing), Toes Before Bros Foot Mask (which was a very relaxing experience), and Good Hydrations Lavender In Shower Lotion (I love the smell of lavender as it so relaxing and it definitely hydrated my skin and it has a Coconut and Shea Butter base). This smells really good and it tastes great as well. 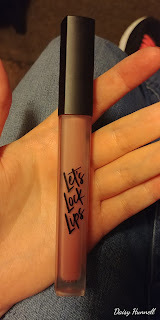 This Lip Oil was very moisturizing and I felt like it gave my lips so much needed plumping. 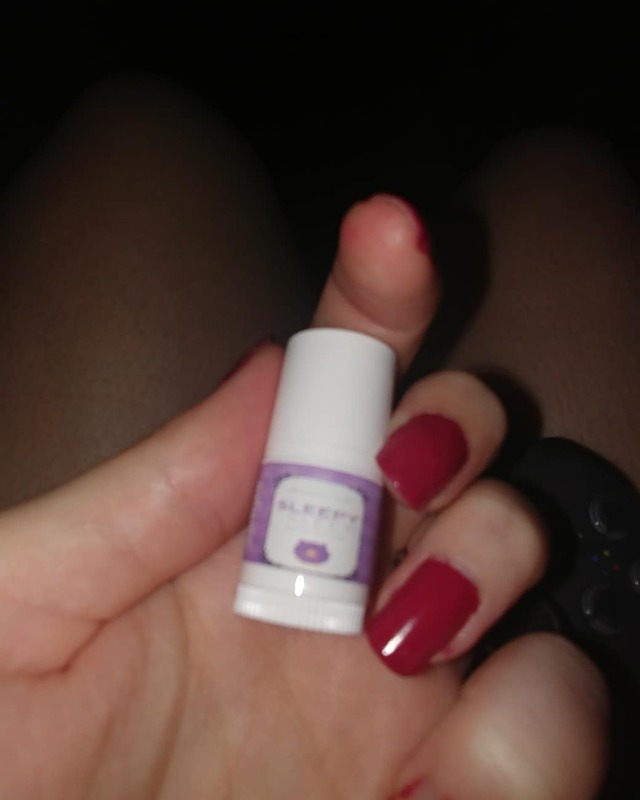 Sleepy Sleep Skin Stick--A mix of calming shea butter stick with lavender essential oil. 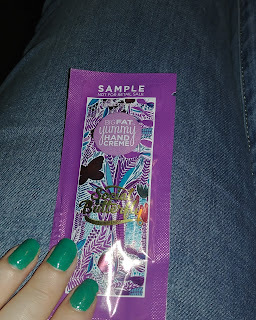 This of course smells like lavender since it has the essential oil in it and it is so useful! This helps me to unwind and relax and calms sensitive skin. 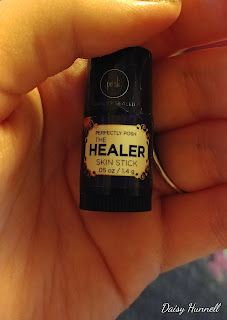 I put this on my pressure points (wrist, side of neck, etc.) before I go to sleep, but you can also use this on your baby as well as it is all-natural. Gentle exfoliating body polish that has Apricot and Vanilla in it. This smells really good and is for dry/dull/uneven skin. You can also use this before shaving for a close and smooth shave. This moisturizes without feeling greasy and is for dry hands & cuticles. 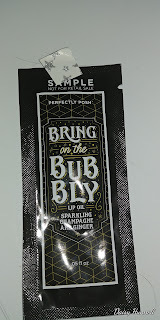 It has Apricot Kernel Oil in it and is fast absorbing. 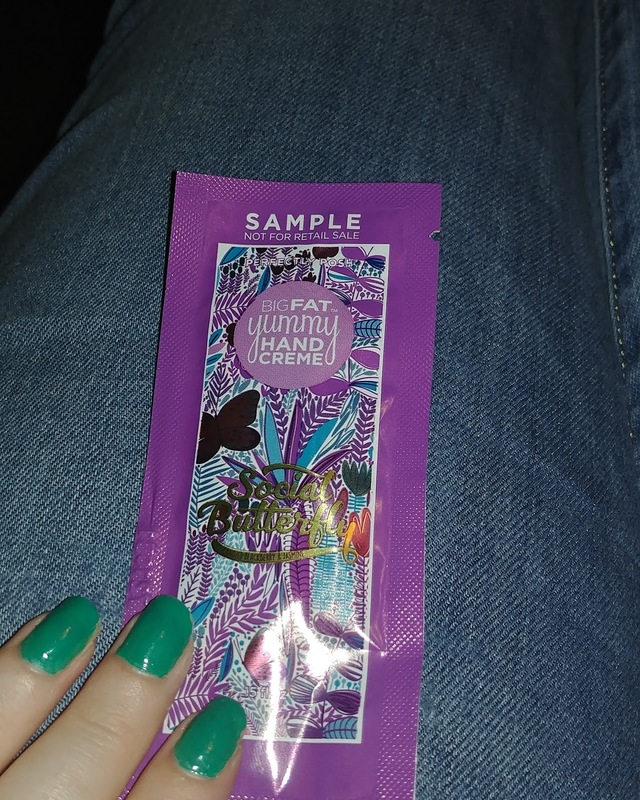 It features juicy blackberry, jasmine, and has a lingering scent. 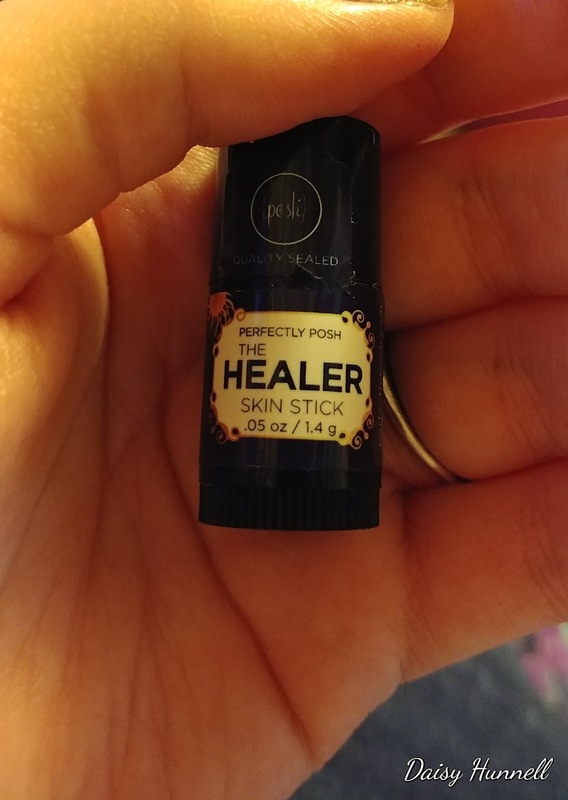 The Healer Skin Stick-- A moisturizing shea butter & beeswax stick with vanilla and orange essential oils. 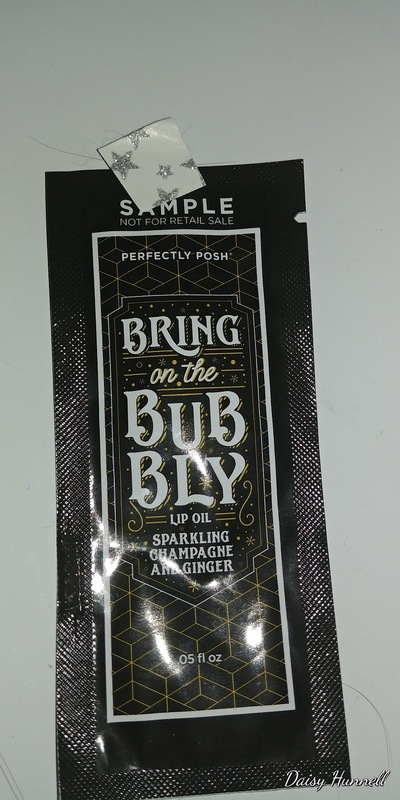 This product smells great and is quite versatile (perfect for dry skin and for dry/chapped lips) and it protects skin as well. I also used this on my cuticles and was quite surprised at how efficient it was. This honestly smells like orange "Creamsicle" icecream to me and it has sweet orchard citrus in it. Just like the other hand crème it is moisturizing without the greasy feeling. It is also fast acting and versatile and is the perfect hand crème. 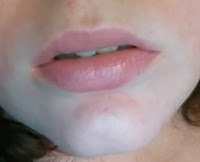 This was the perfect shade for me and I feel like it would perfect for a lot of skin tones. 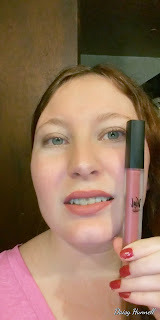 This liquid lipstick is not drying and it is long lasting. This is honestly one of my favorite Perfectly Posh products and I wear this more often than not. The casing of the liquid lipstick itself is perfect and it looks classy/upscale/high-quality. Thanks for reading this blog post. 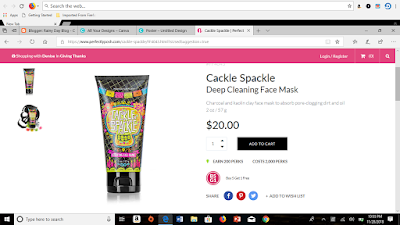 I hope that you now know that Perfectly Posh is a great company with high-quality products that are worth the price and I also hope that you will check out Denise Rivera's products on her page as she is an awesome person/consultant. Until the next review-- hope you guys are having happy holidays and wish you the best! It has been a little while since my last post and now I am returning with another awesome review. I recently received some TerraMax Pro Salmon Oil for free in exchange for my honest opinion and review. I have 4 dogs in my life + several cats that are strays/ferals and a few that are my own pets. Therefore I know how much us pet lovers love our animals and want the best for them. 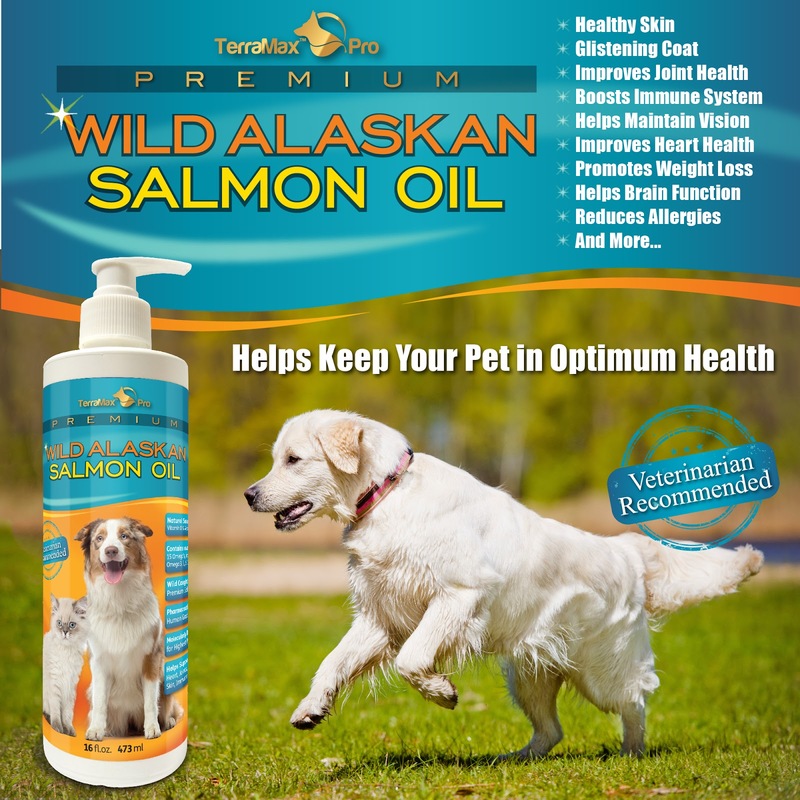 I would say that this Salmon Oil is high-quality as it is 100% REAL Salmon Oil (no fake stuff and provides optimum nutrition for your furbaby), it is made by a trusted pet company, is veterinarian recommended, and is made in the USA. *It has several health benefits (healthy skin, healthy shiny/thick fur, improves joint health, boosts immune system, helps to maintain vision, improves heart health, promotes weight loss, helps brain function, reduces allergies, and more). 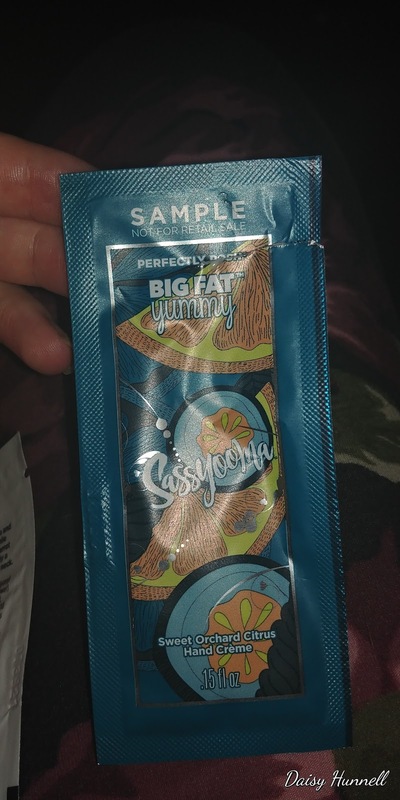 I loved giving this product to my furbabies as it is healthy & nutritious for them and they were excited to gobble it down as it apparently has a great flavor. 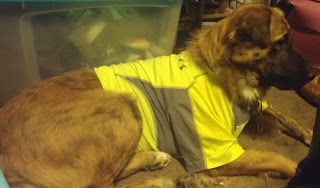 I usually add this to their food as an incentive to get them to eat their food (1-2 pumps per pet). Linda the Saint Bermastiff (shown below) is a 50+ dog with health issues like allergies and hip dysplasia and this really seemed to help her with those issues (no more allergy breakouts, no dry itchy skin, and her hips seem to bother her less) + make her skin & fur much healthier/shiny/thicker. 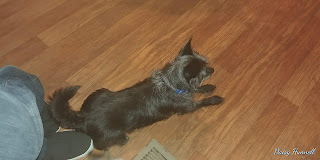 Pepper the Terrier( shown below) is 8 years old and I want her to remain as healthy as possible so this Salmon Oil helps to do that. 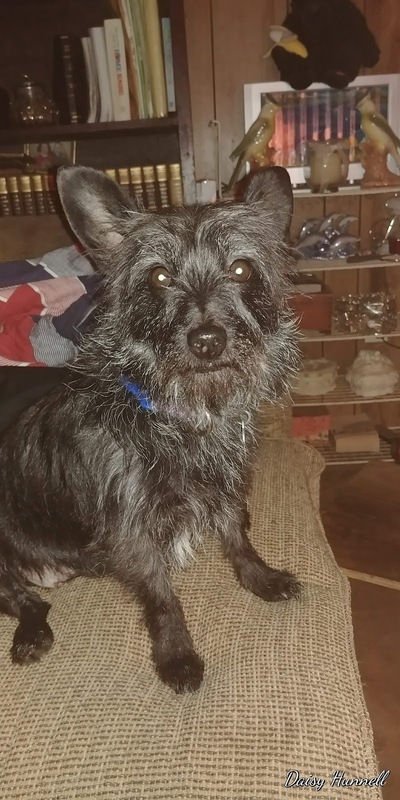 Pepper has always been there for me during the rough times and especially the great times (because everyone knows that dogs are loyal like that). She is a model on Instagram like Linda and several of my other pets and she weighs 13 pounds. 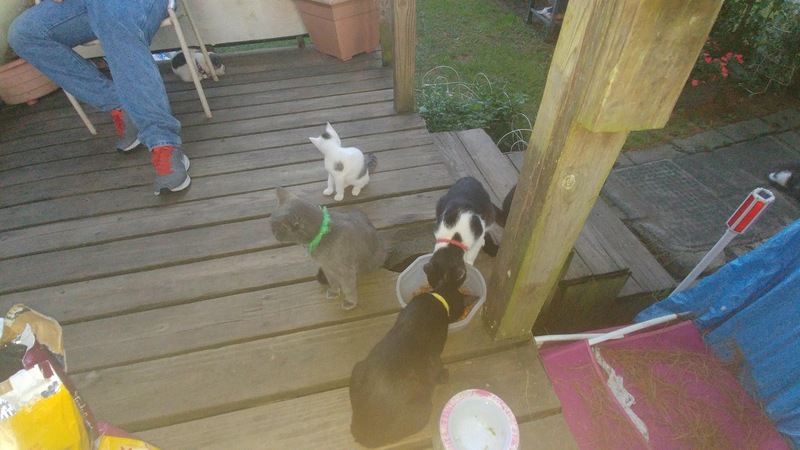 Our cats (some are indoor and most are outdoor as they are ferals/strays and will not come inside) definitely loved this product and I love that it boosts their immune system & keeps them healthy. Started as a stray and is now mostly indoor, but she prefers outdoors. I use this to keep her immune system strong and to keep her healthy!! 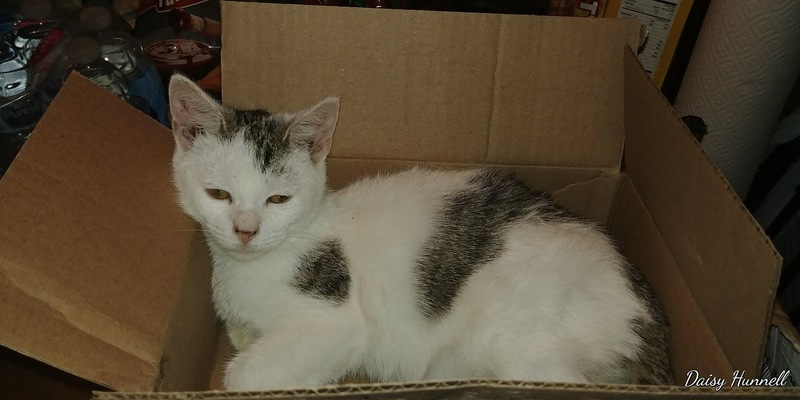 Bobo Jr. (above) was a stray with severe URI (Upper Respiratory Infection) and he is doing better already. He has a lot of energy now & loves to play (especially in boxes). He is mostly an indoor cat and I keep him in at nights, during the cold times, and during snow/rain/other weather anyway. 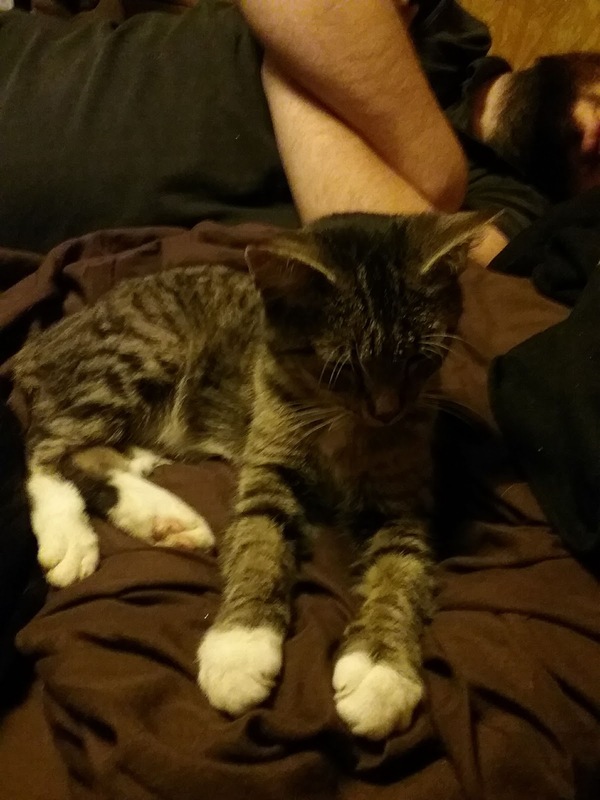 Bobo is 1 year old and is fully grown (he is a midget cat) and he is quite tubby. Some of the strays that have showed up at our house are shown above. They are provided cat food with immune support & lots of protein + fat and the salmon oil is added in. 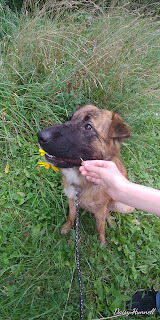 I try to catch them and worm them every 3-5 months just like I had to catch them to put on the collars shown in pic. They have mulitple shelters and at least one is filled with straw/hay. Gracie the Grey cat with a green collar is estimated to be around 6 years old. The black cat is estimated to be around 2 years old and is named Luna. The black and white one is Oreo and is around 2 years old. Now you know the benefits of this Salmon Oil, that it is of the highest quality, and that both I and all my animals recommend it with great success. 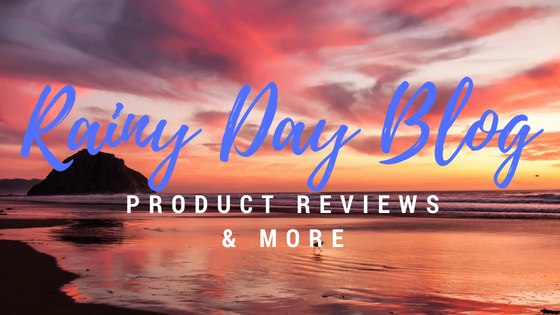 Thanks for reading my newest review post! Feel free to share it, comment on it, etc.